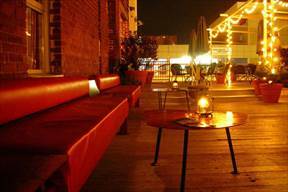 Denver Nightlife (SoCo) - "Bar Standard"
Thursdays: Open for special events. Check sponsor's website for latest updates. Bar Standard is an iconic nightclub housed within the Jonas Furs building off of Broadway in Denver. It boasts one of the best rooftop patios in the city, as well as an expansive main stage, VIP booth areas, and a side deck. Features some of the most legendary DJs in dance music. Home to TheHundred, Throwback, DJ Chonz, Ominous Denver, Ritual Noize, Deep Club, Black/Tuesday, and many more other iconic parties and promoters in Denver.